DESCRIPTION: Their average wingspan is 16.9 in. and they weigh 1.4-3.7 oz. 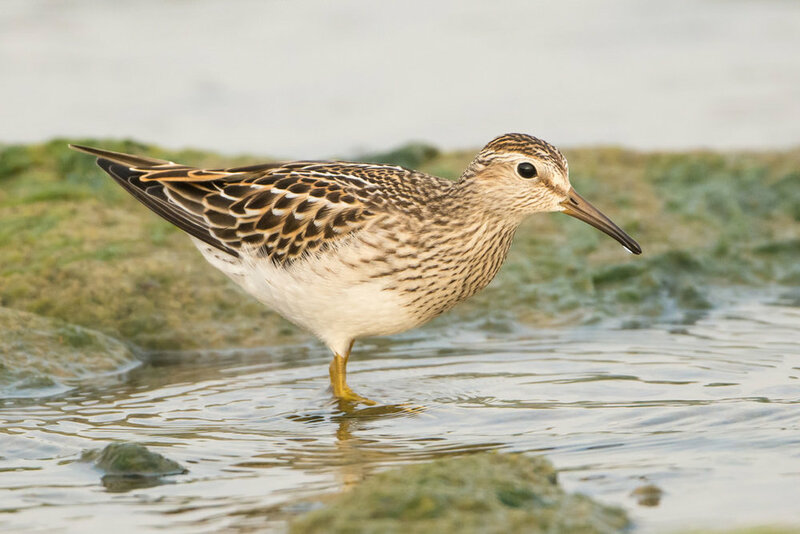 HABITAT: Pectoral Sandpipers live in wetland areas such as tundra, marshes, and mudflats. DIET: They eat insects, spiders, and crustaceans. NOTES: Pectoral Sandpiper males have a pouch in their throat where they store air for mating displays. This is where they get their “pectoral” name. Their calls are “kuurp”s and gurgling noises. They are protected on the US Migratory Bird list.